To develop effective leadership and management across intercultural boundaries, and maximise the benefits of intercultural diversity. Employees who are better equipped and more capable of taking intercultural differences into consideration when carrying out their role. Increased potential to nurture cultural diversity and exploit the benefits. 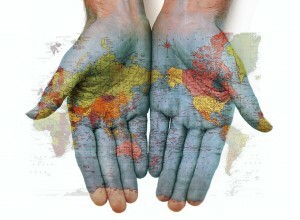 Reduction of conflicts, misunderstandings and misleading expectations due to cultural differences. Experience and appreciate intercultural differences in new and deeper ways. Explain the significance and impact of intercultural differences on the role of the manager. Display intercultural sensitivity and describe effect this is likely to have on their leadership attitude. Describe culture dimensions based on the research of Hofstede, Hall and Trompenaars. Identify appropriate and relevant approaches to leadership, problem solving and decision making in an intercultural context. Implement an individual personal performance and development a plan to facilitate the transfer of learning into the work environment. Pre-work: Intercultural Development Inventory (IDI) 4 weeks before the seminar. Feedback and evaluation of Intercultural Development Inventory results. Ethno-Centrism vs. Ethno-Relativism: personal profile and development needs. Delegates current approach to working with multicultural teams. Introduction to Cultural Dimensions: Hall, Trompenaars Hofstede. Culture Dimensions: Concepts and consequences (leading, decision making). Culture Dimensions: Stereotypes - Americans, Europeans (and differences within), Asians (and differences within). How to capitalise on intercultural differences. Managing and leading across intercultural boundaries. How to nurture cultural diversity: group work. Transfer through personal and team action.